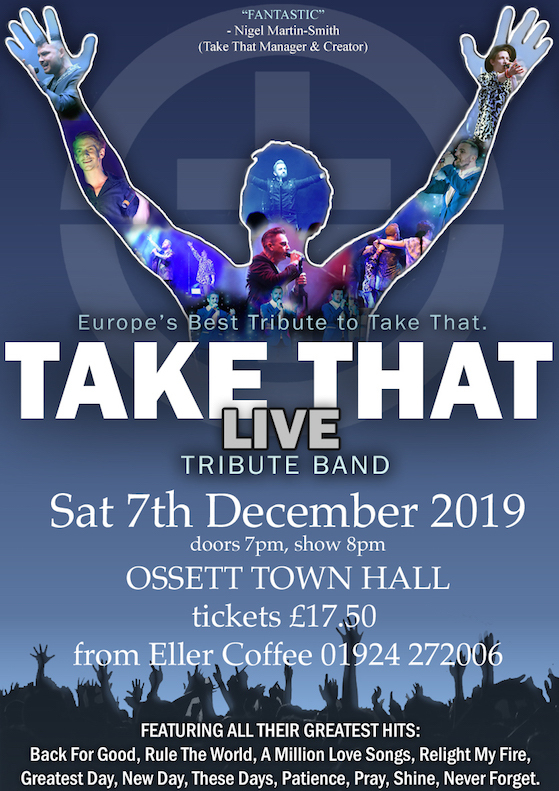 Europe’s best tribute to Take That returns to Ossett Town Hall on December 7th 2019. Their 2018 show was a sell out and went down a storm. Tickets are £17.50 and available from Eller Coffee, 14 Station Road, Ossett, WF5 8AD 01924 272006. For a limited period you can get the early bird price of £15.